Paisley.org.uk was on hand to take photographs of the opening of the brilliantly named Bazinga Comic store inside the Paisley Shopping Centre’s ‘In Shops’. Tracey Clements from Paisley.org.uk took all the photographs which included some of the staff dressed up as Yoda, Catwoman and Robin was there too. Not only that but MSP George Adam turned up to lend his support to the new store. 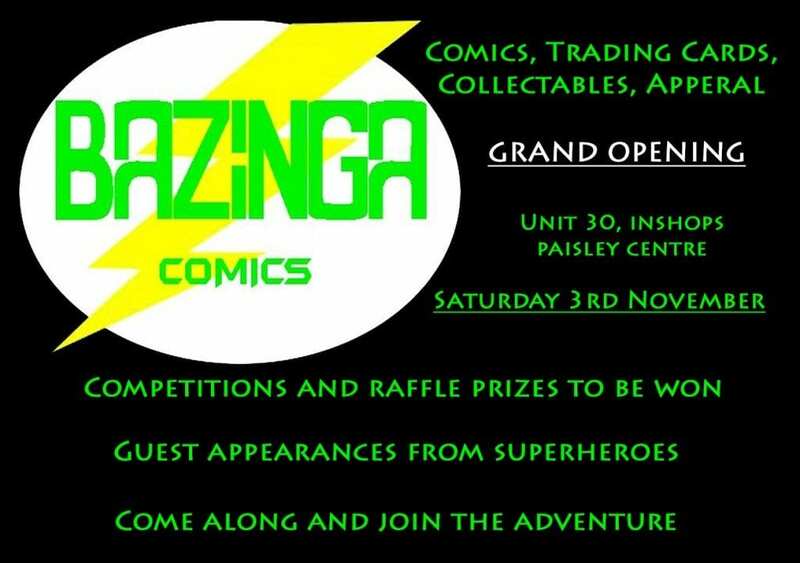 Bazinga Comics located at Unit 30 of the in shops in the Paisley Shopping Centre, will bring a new lease of life to an empty shop unit. All the latest comic books, branded t-shirts and collectables such as trading cards and replica models will be on offer at the new shop. Guest appearances from superheroes as well as competitions and a raffle to get involved in. 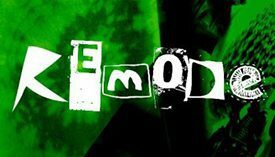 With a wide range of comics with a variety of age and theme, there will be something for all ages at Bazinga Comics. The shop will be open from 9am and owner Muz Fraser expects a busy day as the town centre will be busy with the councils Firework Spooktacular. Muz said “The nearest proper comic store is in Glasgow ,so why have the people of Paisley travel when they can spend money and time in their own town and reinvigorate it” He is a massive comic book fan and got into comics back in 1997. He has put a lot of work into the shop and is extremely thankful for all the support his family and friends have given him .